Gates is the latest project master-minded by former Lydia guitarist, Ethan Koozer. Their debut EP, ‘The Sun Will Rise And Lead Me Home’ sees the band take a significant step away from that familiar sound and step into something pretty special. Opening with ‘A Vague Ambition’, the ambient guitars, atmospheric bass and deep drums create a stunning sound that just seems to get bigger and bigger throughout the track; I’m sure you’ll agree that in the first instance, the vocals come across as a little unexpected, but as the song goes on it’s clear that everything has its place and everything gels perfectly. The following track ‘Walls’ follows the same compositional style as the opener, but has a far more up-beat feel about it and feels like an all-round, well put together “post-rock” song. 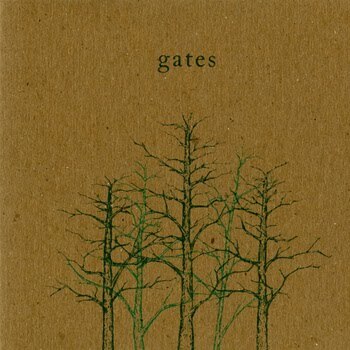 Having said that, one thing I found when listening to Gates is that throughout the EP, there are plenty of musical influences that stand out; bands like American Football, This Town Needs Guns, Brand New and maybe even Thrice come to mind, but the more you listen to Gates, the more you realise that what they’re playing is actually like none of the above and is totally original. ‘Burned Us Alive’ and ‘In The Morning’ slow the pace down again and showcase some marvellous creativity. The music creates an atmosphere that completely chills you out; whether it’s the delicate guitar melodies or the emphatic vocals, both tracks are built up to a resounding conclusion. The ambient instrumental piece ‘At The End Of All Things’ leads seamlessly into the final track on the EP. ‘Sleepwalker’ is a song where the cymbals are big, the guitars are loud and the raw emotion behind it elevates the track to new heights; it really is a powerful, yet beautifully subtle ending to this remarkable debut. 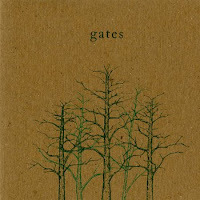 It’s clear that these guys have put their hearts and souls into this album, and whether you were familiar with Lydia or not, Gates are certainly worthy of all your attention. By creating something so refined and so exquisitely put-together, you are treated to an EP that is powerful, unique and truly magnificent. 'The Sun Will Rise And Lead Me Home' by Gates is available now on Bandcamp.